Cross compatibility and authentication of hybrid genotypes among species of Pleurotus were studied using lignocellulotic enzymes production and Internal transcribed spacer (ITS) of rDNA. Schematic procedure of hyphal anastomosis hybridization between the species of Pleurotus was employed in this study. Formation of clamp connexion, changes in morphological hyphal arrangement and general increased in the enzymes production by the hybrid strains over their wild types is an evidence for the compatibility of crossed genotypes. Highest produced enzyme was manganese peroxidase by hybrid LN 97 with 3.25 Uml–1, followed by laccase with 3.06 Uml–1 obtained in LN 91 (hybrid). Lignin peroxidase was the least enzyme produced, but with better performance in hybrid LN 97 (2.75 Uml–1). Dendrogram of relationship among the genotypes revealed two major clusters. Cluster II contained singleton (LN 95), hybrid strain which totally separated from both parents. Most strains clustered away from their parents, authenticating the hybrids produced. 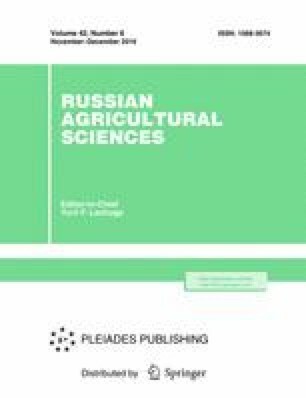 Current study shows the Pleurotus employed for this investigation are cross compatible with high expression of heterosis in hybrid strains relative to the parents on the basis of enzymes produced. This technique could serve as a good tool in breeding programs for Pleurotus strain improvement.